At the height of the crisis over Catalonia's secession drive last year, thousands of companies moved their legal headquarters out of the region, the Madrid stock market and government bonds took a hit and the Spanish state came under strong pressure. Madrid: Monday will mark one year since a banned referendum in Catalonia on whether to separate from the rest of Spain. 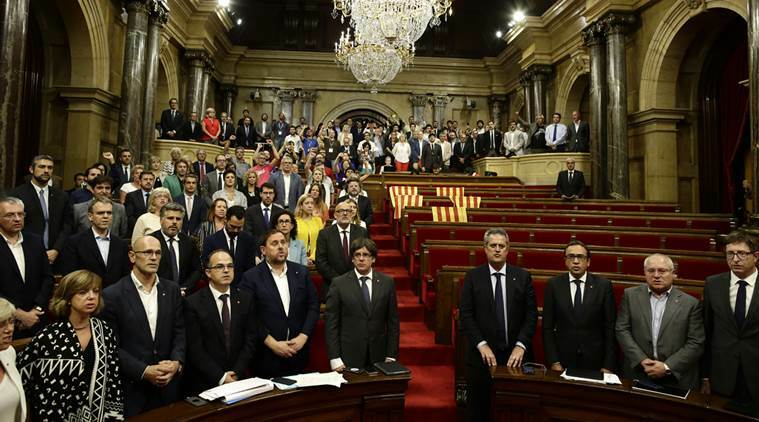 A year later, the organisers of an illegal referendum on independence for Catalonia are in jail or in self-imposed exile, Spain has a new prime minister and the economy has stabilised. But the situation remains tense and could flare up any time. Because Sanchez needs Torra’s party votes in the national parliament to pass the annual budget bill, a failure to find common ground in Catalonia would likely spill over to national politics in Madrid – and possibly trigger a snap national election sometimes in early 2019.